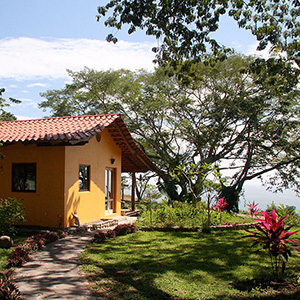 La Maison is nestled on a hilltop above Montezuma. 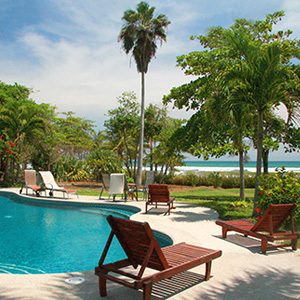 The Villa offers tropical luxury at its finest. 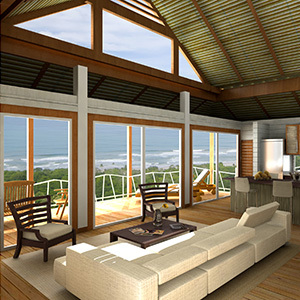 Custom built to the highest standards, with a spectacular pool, ocean view and modern outdoor living furnishings. 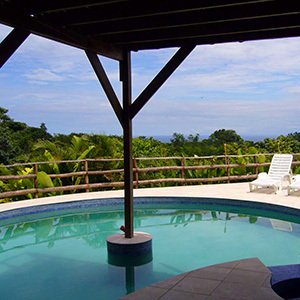 The Villa can accommodate a large family or several couples, up to 12 guests in 5 bedrooms and 5 bathrooms. Unplug, unwind and get lost in our picturesque jungle paradise! The home is in the middle of a lush 4 acre property, with privacy, tranquility and pure beauty. White faced and howler monkeys, as well as parrots,hummingbirds and many other varieties of birds can be seen daily. 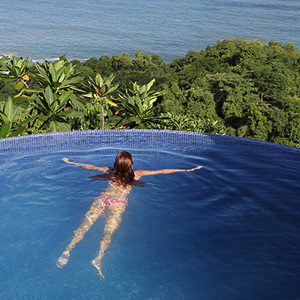 The hilltop setting provides panoramic views of the jungle and ocean, as well as a steady and refreshing breeze. Bugs are a fact of life in Costa Rica and the jungle, if thats not looked at as a given, Costa Rica might not be the place for you. Plenty of deck space near the pool to have a BBQ party, or the deck could become the backdrop for a very special wedding party and is perfect for yoga. 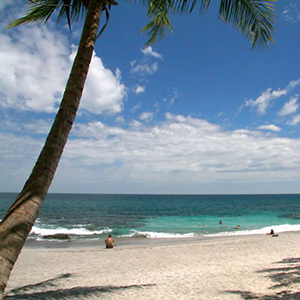 It is only 5 minutes from downtown Montezuma (cozy town with amazing beaches), 15 minutes from Cobano (bank, doctor, supermarket) and 20 minutes from Malpais (incredible sunsets and surfing).